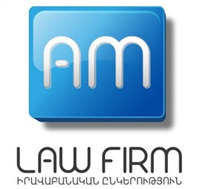 AM is famed as one of the biggest law firms in Armenia. The firm was founded in 2012 as a result of a merger of two prominent law firms which have have been operating in the market for about 10 years. The firm has a proficient team comprising of lawyers and experts with diversified educational backgrounds and experiences. Most of the lawyers hold licenses of advocate, whereas several of them superpose the work at the firm with lecturing at the most reputable universities in the country. The quality of the services is proved by the several local and foreign leading partners of the firm. AM has partners not only from the neighboring countries, but also from the Unites States and Europe. AM law firm is a leading company in Armenia that positions itself as a accurate, reliable and qualified partner, endowed with many advantages enabling the company to produce best possible result.